Here’s a really fun post from one of our readers — 8-year-old Trinity ADHD. You’ll see she’s learned a thing or two about being confident in herself. If you want to share your ADHD story with us, please email me at jeff@adhdkidsrock.com. 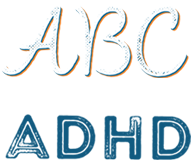 We love sharing the stories we get from ADHD Kids and families. I am 8 years old and have ADHD. ADHD is a thing that makes me hyper. It means Attention Deficit Hyperactive Disorder. It does not make me bad , it just makes me different in a good kind of way. Sometimes when I am laughing, it goes to far. Because I get hyper and even sometimes get out of control. I feel weird inside… and then I feel better. It gets in my way sometimes when I work. I have to think very hard. But after I settle down and I can think most of the time, I forget I even have it and I am fine and not hyper and wild. I know I am not the only one that has ADHD. But some day others will know how to cure ADHD and I will get cured too! The good thing about ADHD is that you can be very creative. I read this website called “ADHD KIDS ROCK ” and kids just like me write their stories about their ADHD life and post it on their website. It is fun to read . Sometimes my dad will read it to me and that tells me what it is like for them. A lot of times I get hyperactive after eating junk food like candy, chips, soda, popcorn and arctic rush from the DQ. It makes it hard to control myself . Some people have very bad ADHD but that does not make them bad, they just can’t control their ADHD. Just remember just because they have ADHD does not make them bad. Some people have ADHD when they don’t know it. You have to go to a special doctor. I go to Morgantown, a big city. Do not think that you are bad if you have ADHD. It is just the way you are. It is not because of you, it is because you have some little thing wrong with your brain, not bad things with your brain. If someone tells you can’t play because you have ADHD tell them I am one of a kind, don’t let them get to you. Sometimes ADHD can be hard, like when you are doing math , you know it but you forget it and get hyper so it gets hard. But if you take a deep breath and count to forty, five times and get back to work, you will be calm. A lot of people have ADHD but if your friend doesn’t and tells you that you can’t play , say it! I am one of a kind! Because you are, no matter what. ADHD or not, you are one of a kind. ADHD also makes you forget sometimes what you are doing. I believe God loves us all, ADHD or not. (It’s OK if you believe something different.) So if you ever see a kid sad because they were just diagnosed with ADHD help them know what it is. Do you have ADHD? It does not matter because you are the same, we are all the same. Please share this to help other kids.